As sensitive business and people change specialists and Institute of Leadership and Management (ILM) trained coaches, we recognise that amongst the biggest barriers to transformation and change initiatives are people, culture and behaviours. 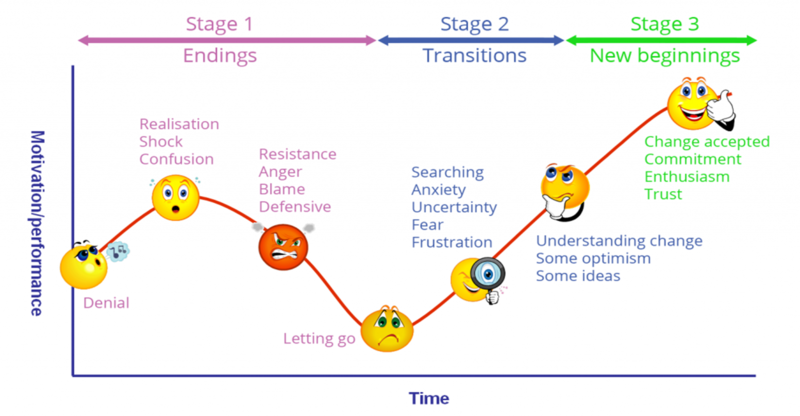 People’s reactions and responses to the introduction of something new has to go through the “Change Curve”. A failure to address the people side of change results in individuals and teams resisting, continuing to work in exactly the same old way that they have always done, doing the same old thing that they have always done and wondering why the results haven’t changed! Before you know it, the newly introduced initiative will be declared a ‘failure’. Our people and team coaching services specifically aim to address this and includes tailored team coaching, personal coaching and speaking engagements. Also visit us at Bold4Change.com for more details.